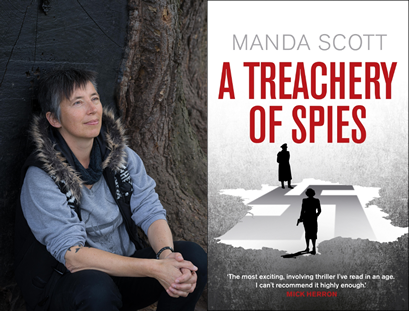 Join us for an evening in the company of Manda Scott as she talks about her latest novel A Treachery of Spies. With fantastic reviews from the likes of Simon Mayo, Lee Child, Mick Herron, Robert Goddard and Giles Kristian A Treachery of Spies is definitely one to watch! Come and hear the inspiration behind the novel as we welcome Shropshire based Manda Scott back to Booka.